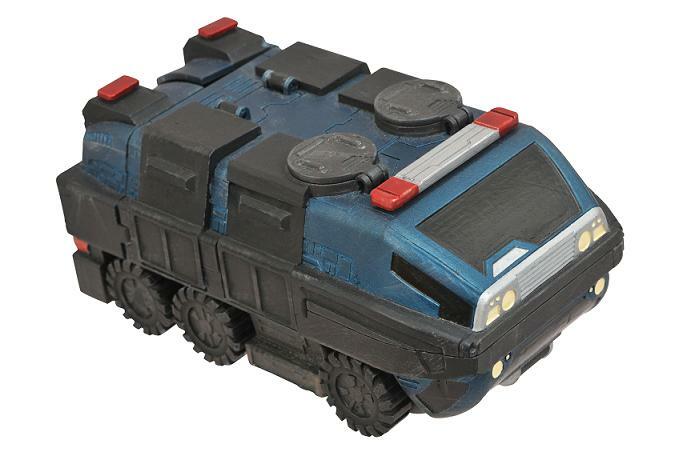 Art Asylum has posted some new photos of upcoming Minimates Vehicles. We had previously seen some of these at San Diego Comic-Con. 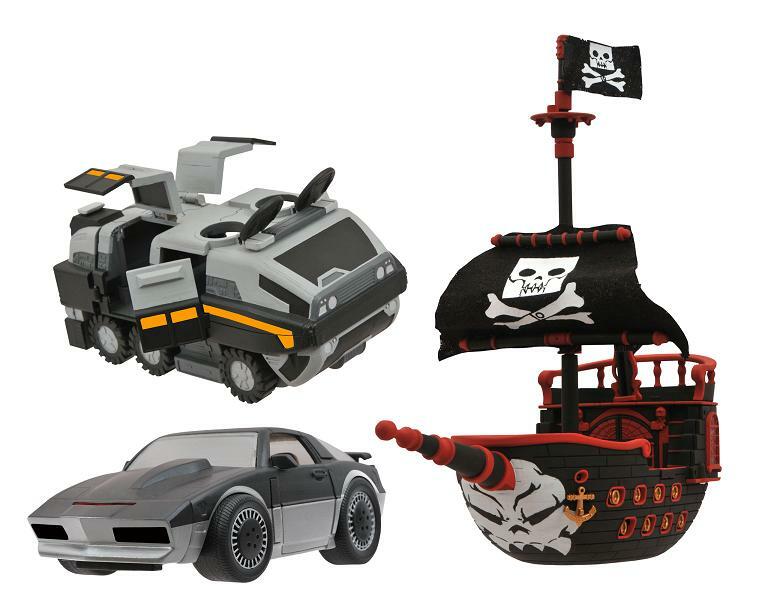 The 4-inch-long vehicle will come with a two-inch Michael Knight, with opening doors and room for a passenger, and it will only be available at Toys R Us in late November, along with Robert Deal’s pirate ship (with Undercover Anne Bonny) and a police-colors APC (with driver). 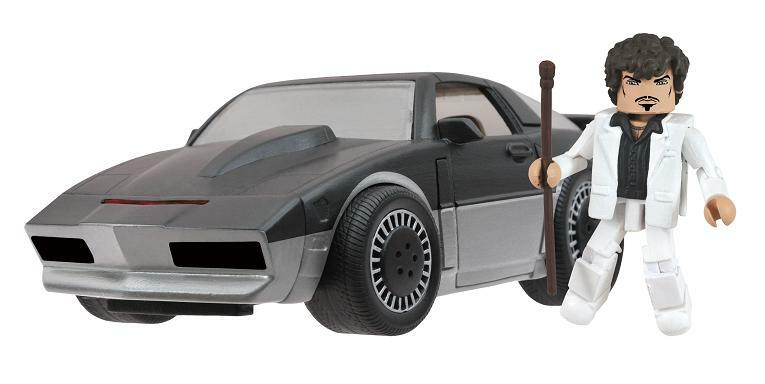 But, since KITT needs his nemesis, we’re also releasing the evil KARR with Garthe Knight in that wave’s specialty-store and comic-shop-exclusive assortment, along with a British Navy ship (with officer) and an arctic-colors APC (with driver)! Order all three through your local retailer! KITT and KARR look totally awesome! Yeah, the Minimates vehicles are actually pretty nice overall. When I saw the pics from SDCC, I was really tempted to jump in on the KITT and KARR. I'm pretty excited for these. That KITT looks awesome. I also really like the APC. 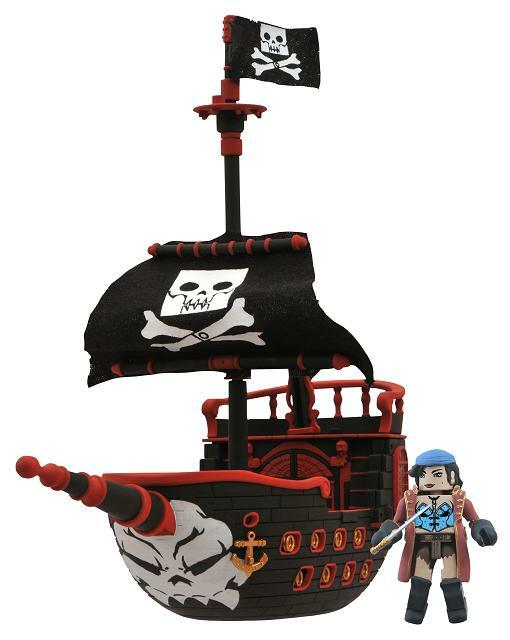 I have always hated minimates and have yet to buy any, but having now seen the Garthe & K.A.R.R. set this is an absolute must buy for me. Garthe Knight always makes me laugh. 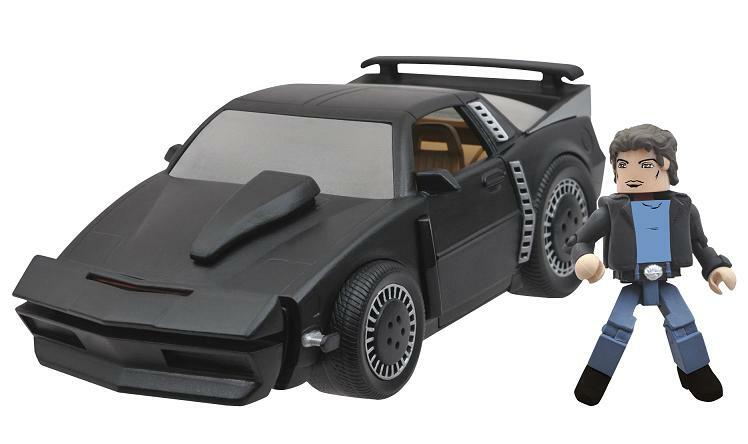 I have to close my eyes when I pass MiniMates in TRU because I really do not want to collect these addictive little pricks, but first the BTTF DeLorean and now KITT? Killing me here. Fingers crossed for and Ecto-1 sometime in the near future.. seems inevitable. Ok, need that APC, never bought any mm before or since the Halo warthog I got reduced, got really tempted by the animated Ghostbusters, but didn't bite. What's this APC from and how much will it be I need ones. The vehichles all seem to be around $12. Give or take a couple bucks. 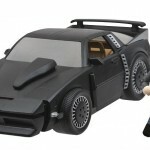 Been holding back on getting into this line, but I really like the Knight Rider stuff. So far I've avoided picking up a DeLorean, it doesn't quite work for me, but that KITT and KARR? I don't know if I'll be resisting those. ..it's probably a left over from last year's batch. Last year it was the non-flying version that came with Marty, which I almost bought weekly until they were gone,.. and then I was pissed. I should probably make sure that doesn't happen this time.